Goodbye, House. Hello, Home! Blog : Marcia, Marcia, Marcia! So, I have this really cool, neat-o, funny, smart and godly friend named Marcia. Home is Where One Heart Is. and I really love her heart and her honesty. I respect her and love her writings! 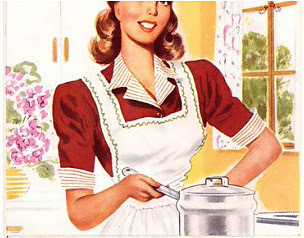 embedded a passion in my heart for being a homemaker. I was born with it but discovered it was there all along as He gently nudged me through the years. I am certain it intensified when I began to live for others and not for myselfbut dying to self is truly the work of a Master Artist,a work that is still very much in the making. As I walk the journey of making a home, of being a wife and mother, a home school teacher and student in the school of life which never closes its doors, many of my own experiences connect me with kindred hearts. Together each of us makes a beautiful tapestry when we embrace our calling. The stories are not all identical but the beat of the heart is one--desiring to create a haven for our loved ones, a place of beauty--instilling memories that will enrich their souls. Christ is the Artist. He is creating a beautiful tapestry through us. He weaves us. My precious Savior and Friend weaves us. He stirs the intricacies and gifts in each of us and forms a beautiful tapestry. I am not the one inclined to appropriately use such gifts or create a masterpiece of beauty. He is. I am simply blessed and strengthened by the privilege to serve Him as I walk this journey. I am blessed to be an adornment of His choosing for His work of art. Pause and think about those words. We are an adornment of His choosing,not a mere instrument but an adornment that delights His heart. My life's work, my placement, my color...to bring Him glory. 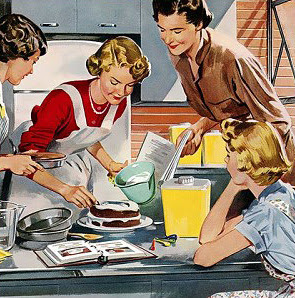 Sadly, a lot of homemakers don't see their work as such. Dear one, you are bringing Him glory right where you are--in your house, apartment or office, in pajamas or a suit, cleaning, cooking, feeding the babies, or being a peacemaker. You were born to bring Him glory. 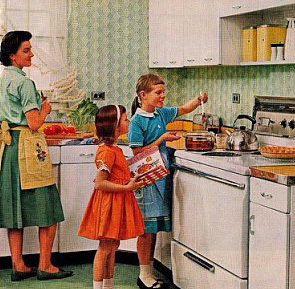 If we wrap our mind around that, even doing the dishes can be rewarding. Yes, I feel your pain. A job is what you are paid for and work is what you were born to do. You can afford to lose your job but you cannot afford to miss your life's work.This is what will make your heart sing, serving Him and knowing He is pleased as the thread not only took its place but also rejoiced as it realized it was called there by such an Artist. 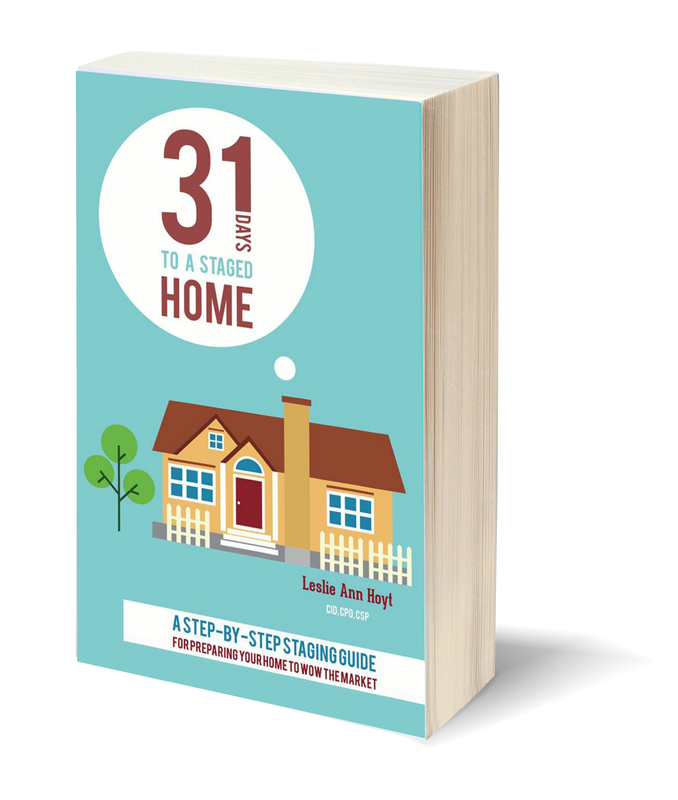 I am honored that God would call me to make a home, to bring Him glory. I often wonder how anyone could live without knowing their calling. Ignorance is bliss they say but revelation is heavenly. Without it life is shallow and empty. 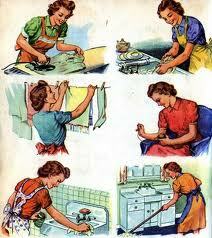 I thank Him each day for revealing such a calling and for increasing my passion as a homemaker. But just what is a homemaker? 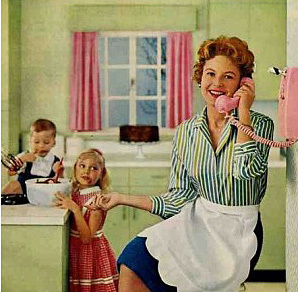 A homemaker is a minister. We are ministers called to a field that is not exactly popular or admired these days but who are we ministering to? Do you recognize the Master's smile upon you when He sees you honoring such a calling of excellence? Do you understand how He grieves when you don't grasp its worth? He does not grieve because you disappoint Him. He grieves because you are missing out. Remember, the calling is living to bring Him glory. Are you honoring the calling or are you dreaming of other mission fields in far away places which always seem so much more adventurous and worthy? Are you delighting in being at home? No, not your house--home--the center of His will. What a privilege it is to know what home is. What a privilege to impart that passion in others. Today I honor every maker of a home...every mother,father,daughter and son,every heart who knows its calling,all laborers,and each and every minister of His love who lives for His glory. To you...to your life's work. The center of God's will. So, so beautiful! 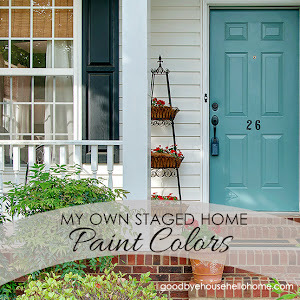 Thank you so much Marcia for the encouragement you've given in this guest post, and for reminding us of what a great PRIVILEGE it is to be in our homes, making them & keeping them. 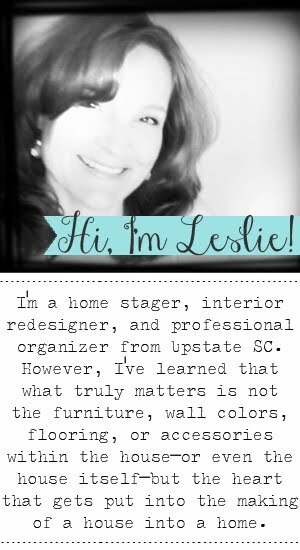 Thank you Leslie for sharing your friend's wisdom with the rest of us! Thank you! First, Marcia reminds me of the beautiful actress Catherine Bell. Next, wow. I want to be an adornment. Lots to think about here. Thanks Leslie. After spending the day in a blue funk cleaning a house I don't want to clean, and complaining the whole time and actually hating my "home", I sit down at the computer and there you are---reminding me (again)to see what is really important, to focus on what God sees, not what I think the world sees. Thank you Marcia and Leslie. Oh, Leslie, do you see the beautiful work of our Father? It's even better here with your touches added to it. It melts my heart. I am honored to be your guest. By the way, I was thinking of revealing my name for my one year blogging anniversary coming up the end of February but could not have chosen a more perfect way. Marcia, Marcia, Marcia...too cute. This was beautiful! Thank you Leslie, for sharing Marcia with us! Thank you Marcia for sharing your gift with us! Lovely blog.I like reading this.Would like to see more blogs by you.Keep writing.. It is always inspiring to hear one speak or write about their passion. Your friend is lovely! Great post. what a passionate and inspiring post! yoru newest follower! love your blog and your transformations. coincidentally, my husband and I were very close to relocating from NYC to Greenville, SC some years ago. Lovely, historic town. Such sweet words and a huge reminder to me that I should be grateful for my place in my home and quit complaining about all the cooking and cleaning. I'm just where God wants me to be. What a great guest post -- and encouragement. Thanks for sharing!